All check the info for the full length release "Counter Future - A Sound Exposure Vol. 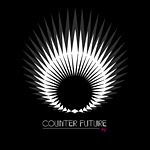 3"
The "Counter Future EP" is a preview for the compilation “Counter Future – A Sound Exposure Vol. 3”, which will be released in May 2013 on Equinox Records. The album marks the 50th release on the label and also acts as the 10th anniversary compilation. This preview EP introduces the project as a whole. The digital version of the EP includes 7 tracks, of which 6 are exclusive. The amazing “Scars” by Skyence will also be featured on the album, however the original extended full length version is included in this EP. 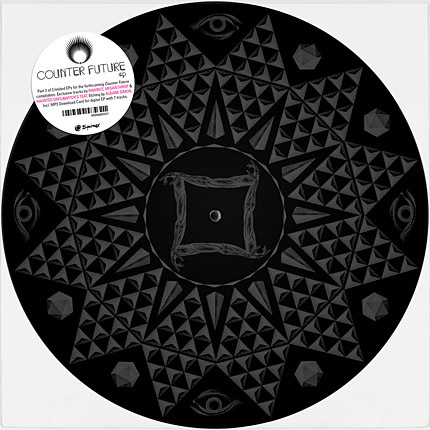 Known to create special artwork packages and vinyl editions, Equinox decided to release the vinyl version of the EP in two separate parts, each of them a one sided 12” pressing with a lazer etching on the flip side. For this special project Equinox has hired two incredible guest artists for the artwork: CONE (of The Weird), an amazingly talented illustrator, who already has done artworks for Melting Pot / MPM and other labels, provides the etching for the first EP, while Parisian designer and collagist Albane Simon (DYN), renowned for her countless covers in the indie rap world, provides the art for part 2. Italian newcomer producer Godblesscomputers introduces the Counter Future series with the uplifting and impulsive “Chocolate”. Next up comes the previously mentioned “Scars” by Skyence, followed by "After Midnight" from the aspiring Russian beatmaker 813, who recently released music on labels such as Donky Pitch, 92 Points and Activia Benz. With “Running Circles”, the first track on part 2 of the EP, Rawbot offers a club friendly track. The song was recently released on his "Running Circles EP“ on Gold Digger Records but is exclusively made available on vinyl here. “Lunatic Dolphin” by Misanthrop is next with punching 808 drums, and leads over to “Crash” by Swiss beatmaker Bit-Tuner, who delivers a more minimalistic, yet deep production. Finally, Haunted Days & Witch’s Teat, a French production duo who won the last Equinox remix contest, end the EP with the more organic and deeper “Our Music Box” which satisfies the listener with intricate rhythms and excellent arrangement. The "Counter Future EP" is the perfect teaser for the upcoming full length compilation. Unlike the album it is more orientated for the DJs with tunes like “Chocolate”, “Running Circles” and “After Midnight”. Both vinyl EPs, each strictly limited to 250 copies, as well as the combined digital single will be released end of April.